For years, link building has been a cornerstone of SEO. Webmasters have used links in blogrolls, anchor text, forum signatures, user profiles and comments (just to name a few). Linking strategies have ranged from building links naturally to buying links. While links to readers’ websites are tagged no-follow by default in WordPress, bloggers who use the CommentLuv plugin have the option of easily enabling the do-follow attribute on links left with comments. With all the attention that Google has been giving to “unnatural” links recently, what should we do? Should we contact webmasters and ask them to remove links to our site? Should we make all of the CommentLuv links on our site no-follow? Let’s take a look at this topic in this week’s #FridayFinds. Will Linking Ever Be the Same? One of the main problems with links today is that they’re being scrutinized by Google and potentially the U.S. Copyright office who recently proposed an addition to the copyright law that would include protecting copyright holders from “unauthorized versions of their work from hyperlinks”. Trust me, Jenny offers more insight than I could possibly do justice to by summarizing it here. I really recommend reading her article yourself. Can Allowing Do-Follow Enabled CommentLuv Backlinks Hurt You? Those of you who comment here know that I’m a big proponent of the CommentLuv premium plugin for WordPress. (Yes, that’s my affiliate link just in case you’re interested in buying a license to the premium version.) I’ve maintained all along that CommentLuv attracts spam. It’s not an insurmountable problem though. Committed bloggers who are using this plugin as part of their strategy to build relationships with other bloggers can tweak the plugin settings (especially in the premium version) and diligently monitor their comment links. It takes time and it’s not a one-time issue either. The older your blog is, the greater the chances are that some of the links that were once good are now broken or link to spammy sites. The biggest benefit to me to using CommentLuv is that it helps to foster a sense of community here. My commenting strategy now (more on this in a moment) is to focus on building relationships and adding value here on my blog. In the early days of my blog, I reciprocated every comment that was left for me. (Meaning, if you left a comment for me, I’d visit your blog and leave one for you.) I no longer have the time to do this. What I still do is reply to every comment that is left for me. To me, it is worth it to closely monitor the links left in the comments and I do enable the do-follow tag for anyone who has left ten approved comments. It’s work. Will I ever change it? I won’t say never but at this point, if I were to be whacked by Google with a manual web spam action due to unnatural links, I may very well throw in the towel and either make them all no-follow or remove the plugin. Can Leaving a Link to Your Site on a CommentLuv Do-Follow Site Hurt You? Could leaving a link to your website on a CommentLuv do-follow enabled blog potentially hurt you? Yes. If Google decides it’s an unnatural connection, it could. Do we really want our fear of being penalized by Google to dictate what blogs we read and what sites we leave links on? Personally, I don’t believe we should. I do use caution though. I’m not about to leave a backlink to my site on an AdSense riddled article. Then again, those sites don’t interest me. Will I leave a backlink to my site on a site that’s completely unrelated to my niche? Absolutely. I don’t do it for any potential SEO value. Actually, there’s more of a risk of it working against me than any chances of it having any benefit. Whenever I leave a backlink to my site, it’s with the intention that the article will be valuable to either the blogger and/or their readers. To read more about my commenting strategy and to read what others have to say about it, (over 166 comments as of this moment), please check out my guest post What Is Your Blog Commenting Strategy? on AdrienneSmith.com. Should Bloggers Close Down Their Comments? That 130,000 comments represented only about 4% of the actual number of comments left on the site. Therefore, approximately 96% of the comments left on Copyblogger were spam. The compelling reason for closing comments was the vast amount of time that was spent moderating comments. The conversation in the comments got skewed due to people using CopyBlogger for self-promotion. What are your thoughts? Have you had to deal with a manual web spam action or know someone who has? Do you use CommentLuv or leave backlinks on do-follow enabled blogs? We’d love to hear from you. For more great information, connect with this week’s #FridayFinds featured authors: Jenny Halasz and Sonia Simone on Google+. You can also find CopyBlogger, Adrienne Smith and me there too. Having a tough time building high quality back links. Searching if websites have broken links in them and approaching them and asking them to replace those with yours is a good strategy but it takes decades developing those. While do follow commenting saves a lot of time. I don’t think Google should be penalising all that. Anyways good discussion. Cheers. Thanks for the interesting discussion Sherryl. There has been a lot published lately about Private Blog Networks (PBNs) and or course the extent to which they constitute a risky backlinking practice. It always sounded like a costly strategy both in terms of financial outlay and in terms of the risk that bloggers were taking. I say “were taking” because apparently a lot of sites relying on PBNs have just been hit. I guess the fast ranking power of a PBN was quite seductive for many. However, there is a very interesting article about the recent Google slap on Spencer Haws’s blog, nichepursuits.com. He writes very transparently about the whole thing. I thought your readers might find it interesting too as it fits in with the topic of your post very well. Thanks for the tip Glenys! That does sound like an interesting article. I’m not familiar with Spencer Haws but I’ll definitely check it out. Meanwhile, expect to see a guest post this week by Jeannette Paladino. She’s written an article about the importance of semantics ins SEO. As always, thanks for your insight. I’ll try to get by your blog soon. Sorry to hear about your mother-in-law Sherryl but it is good that she is now improving. I’ll look forward to Jeannette’s guest post. I guess I need to increase my dofollow comments too. Although I don’t know how. Do-follow comments can both hurt or help you. You have to do it strategically. If I were you, I’d go to FindTheLuv.com (or sites like it) and identify a few CommentLuv websites that are in your niche. What you’re looking for are blogs where your target customers/clients are. Start leaving comments that add value. Leave a CommentLuv link to one of your posts that’s related to the topic. Don’t forget to share those posts and connect with the blogger by following them on the social networking sites that you’re active on. Before you know it, their readers will recognize you and some will start following the links to your blog. Ideally, the bloggers who you’re sharing for (and connecting with) will reach out to you and visit your blog, leave comments for you and share your psosts. I’m linking to one of my favorite articles that I wrote when I was new to blogging. I called it “Stalking the Popular Kids”. It’s a strategy that worked for me. Good luck and thanks for joining the conversation. Enabling dofollow comments will increase the user interaction.Though I failed to deal with spammers when I installed commentluv on my blog and atlast I removed the plugin !! That’s definitely true Samad. Not everyone can justify investing in the premium version of CommentLuv but it certainly does help bloggers deal with spam. One of the things that you can do with it is to configure it so that the do-follow attribute is only enabled after someone has left ten approved comments. That cuts down drastically on the amount of spam that you’ll get because someone looking simply for a backlink will get discouraged way before that. Thanks for dropping by and joining the conversation. I hope you have a great weekend. I heard Matt was saying in an interview it will be much effective if website owners socialize their contents! What do you think about it Sherryl? I have found you concentrating on building readers by socializing! Is socializing is more effective than link building? In my opinion, they’re both valuable. One difference between referral traffic and organic search traffic is that social is less risky than SEO. At any time, Google can penalize us and/or completely de-index our sites. I know quite a few bloggers who were de-indexed completely and even though they’ve gone through the steps to get back in Google’s good “graces”, no one knows if they’ll ever completely recover. It’s been well over a year since I was whacked by Google’s algorithm changes. My organic search traffic dropped from over 10k visits a month to just over 2k. I still haven’t recovered from that. One interesting observation that other readers have made (and I have confirmed as true for my site as well) is that the bounce rate from organic search traffic is significantly higher than it is from referral traffic. Another difference between the two sources is that social helps to build authority while building mutually beneficial relationships. I have met the vast majority of my clients through social networking and personal referrals. Even those clients who I know initially found me through search, engaged with me here on a personal level before hiring me. So, while I like search traffic, (it’s free and the way I do it, it isn’t that time consuming), I personally value referral traffic more. Thanks for raising the question. Sorry I didn’t reply sooner but I’ve been squeezing some “vacation” time in. 🙂 Have a great weekend! Other than Copyblogger, I also noticed that they also have closed comment section on StudioPress site as well. I think it really depends on how big your community is. Big community like Copyblogger won’t care about how many comments they got on their site like most of us bloggers. I agree that the size of your community is a factor in whether or not it makes sense to continue allowing comments. In the case of Copyblogger, the amount of spam became unmanageable. Now, with the added scrutiny that is being focused on us by Google, I believe they were putting themselves at risk of being penalized for unnatural links. Thanks for dropping by and taking the time to join the conversation. I hope you have a wonderful weekend. Nice post and Yes, Google really making very difficult to do blogging these days. With continuously changing algorithm, I think GOD also have no idea what Google is trying to do. Linking is very important factor in blogging and from last few update, it seems linking is dead as many blog closed their comments. We can make linking with others but by only following some safety rules. Thanks for sharing this interesting post with us. We really do have to be aware of what sites we’re linking to and what sites are linking to us. Last year, (when I was whacked by Google’s algorithm changes and lost a significant amount of my organic search traffic), I went to my Google Webmaster Tools and I noticed that I had over 1,200 links pointing to me from a spammy site! (One of the components of the site was a dating module.) Their webmaster denied the links existed and I ended up disavowing them. Incoming links is definitely something that we need to keep an eye on. Now, we need to brace ourselves for Penguin 3.0! I’ve heard rumors that may be coming to us by the end of the month. I don’t think Google should penalize site which have do follow comment luv enabled comment system. It would be so weird if Google start penalizing such awesome plugins. I don’t believe that Google is penalizing sites that have the do-follow attribute on their CommentLuv comments. I do believe that having those comments requires diligently moderating them. It’s especially important that those of us who use this plugin regularly check for: 1) broken links, 2) links to spammy sites, 3) too many do-follow links to sites that are totally unrelated to our niche. One of the reasons that the premium version of CommentLuv is so popular is that there are additional settings that you can configure. For example, a lot of us only enable the do-follow tag after someone has left ten approved comments. We have found that most spammers never qualify for this. Thanks for taking the time to join the conversation and for the +1. Backlink ‘lifetime’ is my big problem. In the past I had built many backlinks for my website. But, they did live longer. They had gone and only several of those backlinks exist. Ranking of my websites decreased and I lost many traffic because of that. I know it is not easy to find last longer backlink since it solely depends on the web owner to keep or remove my backlinks. Could anyone know how to get permanent backlinks? And how maintain backlinks? I wouldn’t worried about permanent backlinks. Instead, I would focus on commenting on blogs where your potential customers are. If your backlinks are to quality content (and in a niche that Google would not feel is unnatural), chances are your backlinks will stay. Of course many bloggers abandon their blogs at some point but if you’re consistently building strong relationships with active bloggers, that shouldn’t be a concern. For starters, do you know what blogs your potential customers already read and comment on? Do these bloggers have an active following on major social media sites like Twitter? I would identify 3 or 4 bloggers (to start) and begin commenting on their blogs. If you’re looking to leave a link to your site, you can find CommentLuv enabled blogs and concentrate on those. (Don’t worry if they’re dofollow or nofollow because the SEO value isn’t worth much.) Make sure that your comments add value. If they have the premium version of CommentLuv, try to pick one of your posts that is related to the article that you’re commenting on. I’ve linked to one of my posts that explains how this strategy works. Basically, it’s develop relationships first and the traffic will follow. Good luck! Please let me know if you have any other questions. You know the thing is with link building that you can get a penalty for just about anything. If someone links to you and they have a poor link profile it CAN hurt you. It’s pretty mad, but I don’t tend to worry about blog posts. If you need to remove it, most webmasters are happy to oblige! I don’t know why this just occurred to me but one thing that I have not been concerned with (yet) are the do-follow CommentLuv links that I’ve left on sites that have changed hands. When I do my link cleanups here, I often find domain names that are parked with registrars like GoDaddy. Those domains usually point to parked pages that are riddled with ads. In those cases, the sites have been taken down completely. So, any links I left there will be gone. What about the links I’ve left in the past on other sites? It’s something to think about. Second, I fully agree with him, though I word things differently. We both moderate our blogs so we’re not worried about the backlinks at all, nor leaving them dofollow. Third, I do want to take exception with what you said about spam, and I’m going to use a guy Peter wrote about on his own blog. I don’t believe CommentLuv attracts spam at all. I think posts about pretty much anything can attract spam, especially on older blogs, which I have. The thing is I not only use GASP and Akismet, but I also have all comments turned off after 180 days. Most spam goes after older articles, so I really get little spam, less than 10 a day, sometimes less than 5. At over 1,500 posts, I think that’s pretty good management. Sure, some of the older links may have gotten through because when I started out I didn’t know as much about looking at bad links. But most of those links are gone now, and I’m not worried about any that survived. It’s great to see you here . I moderate comments too. What I find the most time consuming is having to go back through years of comments to make sure that domain names haven’t fallen into the hands of spammers. As for CommenLuv attracting spam, I’ll modify my statement to say that the do-follow tag in CommentLuv attracts spam. One of the clients I work with reached the point where she disabled the CommentLuv function of the plugin and left the G.A.S.P., TwitterLink and ReplyMe functions enabled. Even with both G.A.S.P. and Akismet installed, she was still getting upwards of 50 to 100 spam comments daily. Granted, this was months ago (about the time that Andy Bailey was dealing with the same issue and before he had published his Anti-Backlink plugin). We did not try turning off comments on posts after 180 days. I’ll keep that idea in mind for the future but I’d be reluctant to do that on my blog because I still get a lot of traction out of older posts. I congratulate you on getting so little spam. I have mine under control now too but I had to turn G.A.S.P. off on my blog. I encountered some sort of weird issue and people suddenly could not leave comments at all. I finally tracked the error message down to G.A.S.P. Ileane Smith had mentioned that she was using the Anti-Spam plugin on her blog. I tried it here and (so far) I’m happy with it. Staying true to yourself, building an audience of loyal readers, monitoring our blogs and doing the best we can sounds good to me Mitch! Thanks so much for sharing your insight with us and becoming part of the conversation. I’ll be by to visit your blog again as soon as I can. As I mentioned in my reply to Peter, I’m still not caught up replying to all of the comments that were left for me on my guest post over at Adrienne’s. She really has an engaged community over there! Sherryl, I just wanted to make clear that when I say I moderate comments, I don’t mean that comments won’t show until they’re moderated, although there’s some glitch on my site where, if people are using Chrome and commenting their comments are going into the spam filter first. I mean I look at all comments, those that end up in spam, those that pass through without going into the spam filter, look at the links to see if they look “quality”, and if the comments are good but the links aren’t I’ll remove the links. If the comments aren’t great I remove the comments and don’t look back because almost never have any of those folks come back again. I’ll admit I haven’t always done it, but it’s a lesson you hope to quickly learn. Mitch, I’m doing the same thing as you. After one comment is approved, they are automatically published but I still check out the links (except for bloggers like you who I trust). I have a similar glitch on my site. The comments from at least two trusted bloggers consistently end up in spam. (I’m not sure if they’re using Chrome or not.) At one time, this issue was affecting 6 or 7 people but it was resolved with all but two. They also left a link to a blog post that normally, I would allow. (This is a blogger who really should know better.) As much as I’d like to approve that comment. I haven’t. (It looks spammy.) I keep shaking my head at it (which isn’t helping 🙂 ). Would you post it? No, I wouldn’t post it. If it was someone who’d been commenting on my blog for a long time I would, but as a first comment… nope. OK, firstly, if I am going to have any conversation about a post I have written it will be on my blog not on some social media site. Secondly, I’m going to keep my blog do follow and CommentLuv enabled regardless of what the current trend is or of what people are imagining are Googles intentions. I honestly believe that Google is all about good content. That includes comments. Google wants conversation. So if you leave good quality comments on a post I don’t believe Google will penalise you. I get a lot of requests from people who are getting penalised from Google. They all seems to have something in common. Looks like I may have to write a post about this at a future date. As to Copyblogger excessive spam. Honestly, why would you let so much spam slip through. I deal with mine on a daily basis. I plan to keep my blogs as spam free as possible. As for keeping your blog do-follow and CommentLuv enabled, good for you! That’s my intention too. However, while it’s my intention, I still have concerns. While I would like to believe that Google is about good content, I also believe that their main motivation is the bottom-line. The fact that respected bloggers are being de-indexed and left to their own devices to figure out why their links have been deemed “unnatural” is disconcerting. A lot of people are no-following links and directing their resources to taking preventive measures when there’s so much confusion as to what we should and should not be doing. The general consensus among many of the bloggers who I’m connected to is to concentrate on building relationships and work on being in a position where you’re not reliant on organic search traffic. As for CopyBlogger, my understanding is that they identified (and blocked) 96% of their comments as spam. The 130,000 comments that they published (over a period of 8 years) were the ones that they determined to not be spam. I honestly don’t blame them for closing their comments. Spam is an incredible time waster. Thanks so much for taking the time to share your insight with us. If you do write that post, would you please come back, tell us about it and leave a (do-follow enabled) CommentLuv link? Sherryl, I also get a lot of spam. Some is dealt with by GASP, the majority by Akismet. Some that get through are left by humans who just don’t seem to want to learn what good commenting is all about. That or they’re newbies who are still on a learning curve. One of the reasons why I write a post on good commenting every now and again. I’m so glad to see that you left a link to your blog. (I had already tracked down your site and started sharing for you.) I’ll be by to visit your blog and comment (hopefully) in the near future. Between my regular work and all the comments I got on my guest post at Adrienne’s blog, I am really behind on my replies. I’ve written my share of posts about commenting too and they’re usually well received. It’s a topic that a lot of people have an opinion about and anyone who hasn’t thought of commenting strategically will realize that they should. Yeah, in my opinion Sheryl, there can never be too many posts on improving the quality of comments. I remember one post I did where I actually graded out of 10 every comment left in a particular post. Naturally I told the readers I was going to grade their comments and you’d be surprised how many people left crappy comments. Just goes to show how many people don’t actually read the post. Morons. However, I think there should be a mighty shift from commenting for SEO links towards commenting for networking. The more bloggers you are hooked with, the more editorial links you get and that’s what Google validates. I think the heat is still on. 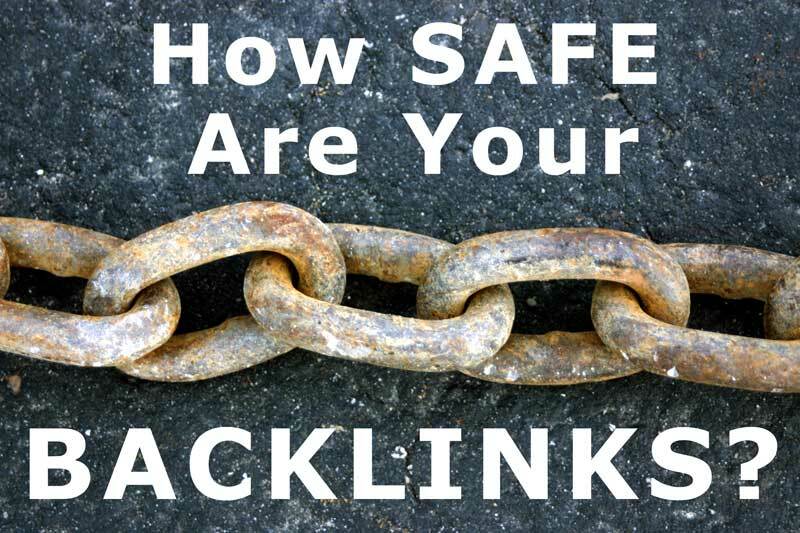 You’re right about using caution for both incoming and outgoing links. That’s one of the reasons that (sometimes) if I’m commenting on a blog that is totally unrelated to my niche, I won’t leave a CommentLuv link. I don’t want to give Google any reason for deeming my links unnatural. Last year, after I got whacked with the Google algorithm changes, I checked my Google Webmaster Tools and discovered over incoming 1,200 links from one spammy site. So, that’s something that bloggers need to remember to check. Thanks so much for taking the time to drop by and weigh in on this. Even though my blog has been quite inactive due to a heavy workload, I still get spam comments. Interestingly, I’ve had 3 link removal requests in the last couple months as well. Since it didn’t take much time, I went ahead and complied. Although I have been short on blogging and promotion in the last year or so, I still keep up a bit with the latest SEO developments. Right now I can honestly say I don’t think I’ve seen Google in a bigger state of confusion. Their changes have been all over the board, and most folks I’ve talked to have little more than a vague idea of what works anymore. How to construct links, what kind of anchoring if any is correct, dings from bad back links, its all just a complete mess. IMO, Google is moving towards a contraction with making their indexing such a minefield. There’ll come a point where folks no longer tailor to Google, and instead just begin a wider program of building to appeal to all. BTW, nofollow doesn’t affect whether bots visit or index, it simply is supposed to strip authority from the link. I average about 4 link removal requests a month. I always comply and usually I thank them for letting me know. I usually think the links are doing more harm to me than they are to the site that’s requesting the removal, so, I’m more than happy to oblige. I agree with you about Google being in a state of confusion. Personally, I think they’re acting like bullies. It sure is providing a lot of fodder for blog articles and discussion but it’s causing a lot of anxiety too. Thanks for the clarification about the nofollow Paul and thanks for taking the time from your busy schedule to weigh in on this. All this stuff worries me. Google is about 40% of my traffic. I am pretty small but I do worry about a negative Google action. I try hard to avoid things that could be an issue but who knows what is right or wrong these days with all the changes Google keeps making. All this does make you wonder if they even want us online. In the end, I need to do what I think is best and then HOPE for the best… Sigh! I’m in the same boat Susan. Last month, Google accounted for 43% of my overall traffic. I honestly spend much more time replying to comments and building relationships than I spend on SEO. What I do for SEO is more of habits that I’ve developed over the years. Looks like I’ll be re-thinking my social media strategy soon! I was so happy to have you as a guest over at my place last week and I think the conversation is one that has really been stirring everyone up. I just watched Lisa Irby’s latest video on what SEO is for this year and she definitely shared with us what Matt Cutts doesn’t say. So there are so many things that Google is always changing to help them really make money because we know that’s what it’s all about really. I’ve been going back and forth about this too but here’s my bottom line. Everyone would love to get traffic from the search engines but the thing is that Google is more behind the big brands then the little guy. So what traffic I do get, it’s small. I would want them to take that away but that is always a possibility. I blog for the relationships it can provide for me because those are the loyal readers and subscribers who want what I have to offer. I give do-follow links in their comment “if” they are in my niche and their blogs are riddled with ads. I know that if I give too many of those to people outside my niche then I could end up on Google’s radar. I have a love/hate relationship with Google and although I’d still like to stay on their good side I’m going to continue doing what I feel is best for me and my readers. These are some great shares and I’ll have to read Jenny’s post too. Thanks for sharing these Sherryl and have a great week. I still need to catch up on comments on your site. (I promise to reply to every one that was left for me.) Meanwhile, I shared a link to my post on a discussion about reciprocating comments and the importance of a commenting strategy on the Bloggers Helping Bloggers group. (That discussion thread was started in March of 2012 and it’s still going strong!) I guess it’s always been a hot topic and Google’s recent actions are exacerbating the need to learn as much as we can about it. You mentioned that the percentage of traffic that you get from organic search is small. Would you mind sharing what percentage it is and how it ranks compared to your top source of overall traffic? I’m not happy about it, but on my site, organic traffic from Google is my overall top source accounting for nearly 43% of my overall traffic. (It also had a bounce rate last month of 90%.) My second source of traffic is direct at 31%. I haven’t watched Lisa Irby’s latest video yet but I’ll make sure to catch it. Thanks for sharing your insights with us and you have a wonderful week too! I think since I have done things differently in the very beginning by inviting people to guest post I wasn’t worried that I was doing anything underhanded. I did it this way because I wanted my readers to benefit and get to know other people who visit my blog. It’s worked beautifully and I think really that’s the way it should have been done all along. Hope your group enjoyed this post too. It’s still getting more comments so you’re going to be worn out. My readers will do that to you but I love them. Well here are my numbers as of today for my traffic. Direct 29%, Referral 36.7%, Social 26.7%, Organic 7.6% and my bounce rate is 13.64%. Time spent on my site is almost four minutes so it’s still holding pretty strong. I prefer referral traffic because to me those are people who stand behind you and refer you to others. It doesn’t get much better then that. If Google were to hit you tomorrow you’d still have old faithfuls and to me they’ll count even more in the end. Hope that helps and you enjoy your week. I like your idea of inviting guest bloggers. I’ll have to try that. Thanks for sharing your numbers with us. They’re definitely different from mine. Mine are: Direct 31.1%, Referral 10.1%, Social 10.8%, Organic 48%.. Your bounce rate is fantastic. Mine averages to 81.33%. (There’s that 90.6% bounce from search but the lowest bounce rate I have is 42%. My average time spent is only one and a half minutes. You have a lot more comments than I do. That must contribute to the time spent. This has been really helpful to me. I’ve been focusing more on referral and social traffic this year. I swear that I don’t actively work at getting organic traffic. I know I mentioned on your blog that I have incorporated SEO tactics into my writing. Maybe I should ease up on that a bit but optimizing my posts probably explains why my page rank hasn’t dropped. Not that a page rank of three is great but it’s been consistent. Knowing your numbers has been helpful to me and hopefully someone else reading this will find it informative too. Have a great week Adrienne! You can’t go wrong when you’re the one asking. I know your numbers can definitely improve. You might not get the amount of comments but you get quite a few. Glad to share, thanks Sherryl. Thanks Adrienne. I know I can improve those numbers if I try. I’m going to continue what I’ve been doing as far as incorporating SEO tips into my articles. Even though organic traffic isn’t the best traffic, the additional numbers don’t hurt and the optimization I do has to help with page rank. I’ve never been one to do a lot of keyword research. So, there’s nothing to cut there. What I need to do is step up the referral traffic and social. Maybe I’ll start by thinking more strategically about what I do on Triberr. One point that hasn’t been brought up – I use a lot of internal links. In this post, you have 2 but I’ll often have 6 or 8+. And I want the pingbacks because it cross-references the articles. Rather than redefining terms, I just link to an article about that. And in the article about that, theres a pingback to an article that discusses it. Makes for a useful bigger picture reference. I have found that periodically, WP updates break the consistency by which they notice internal links and make the pingbacks. The current build often required repeated Updates before it finds the links. But even that doesn’t always work. Really annoying. I assume if I set external links to ‘no follow’, the internal links would be too. Given this is the WWW, its lame Google is slamming follow links. That’s kind of the point of an information web. You raise a valid point about the importance of internal links. I limit the amount of internal linking that I do on my posts in my #FridayFinds series. My strategy is to feature other bloggers in hopes of forging stronger relationships with some key players. (For example, this isn’t the first time I’ve featured Jenny.) In addition to the do-follow link to their article and the link to their Google+ page, I also give each of them, a shout-out when I publicly share my post on Google+. I would love to add more links to my posts but in addition to those two internal links, I’ve also included a link to my guest post on Adrienne’s site (which includes a couple of links back here. Plus, I included an affiliate link (which is something that I rarely do. Thanks for the info about the recent WP update. I hadn’t heard that yet. As far as I’m concerned Google has gone too far. They should definitely punish people who buy links or in any other way try to manipulate Google to get higher up on SERPS and a higher page rank. Obviously AdSense and AdWords are important to Google because they make money from it. But that’s the root of the problem. And instead of finding a solution to that dilemma, Google has passed the buck to the owners of websites. I so agree with you about this! You’re right. They’ve created the problem and a lot of innocent bloggers are getting caught up in the aftermath. Agree completely Catarina. They are hoisting themselves by their own petard. I really like CommentLuv too Sherryl and for a long time had dofollow comments enabled. I actually turned those off a few weeks ago because of the problem with broken links. I clean the broken links up on a regular basis but I figured that a nofollow broken link is better than one that the Googlebot’s going to follow and give link juice to! I certainly won’t be closing down comments for a long time to come though because they’re the lifeblood of a blog like mine. If I were getting as much spam as Copyblogger get then I’d more than likely be changing my mind though. That’s a lot of moderating. I know a few people who have received manual actions from Google now and I wonder when I’m going to be next. I decided to nofollow all links in guest posts too and going forward if I accept any more that will also be my stance. I hate that we’re being dictated to by Google so much but I can’t do anything about it unfortunately. I have to play by their rules. Tim Bonner recently posted..Ultimate Social Deux Review: The Ultimate Social Media Buttons Plugin? I didn’t realize that you had turned off the do-follow tag. (That’s how unimportant do-follow on CommentLuv links have become to me.) You know, the more I reply to comments where we’re discussing do-follow tags and CommentLuv, the more I’m beginning to lean towards making my site no-follow too. Would people stop commenting here, if I turned it off? I honestly don’t think so. If they did, were they commenting here for the right reasons or simply to take advantage of a possible link for SEO? I’ll admit it. I’m still thinking about this one. I agree with you about the risk of having a do-follow broken link versus a no-follow broken link. (I’m getting closer and closer to making a decision.) Also, I worry a little about receiving a manual web spam action too. I just know too many bloggers who have been unjustly penalized. It’s a valid concern. Having a policy of no-follow in all guest posts should really weed out guest bloggers who don’t have the right intentions. I get so many unsolicited guest blogging requests from bloggers who I don’t know. That stipulation would probably deter a lot of those requests! A few years ago, when my biz blog was young, I turned on do follow links in comments for a short time (a few months). It did great job of attracting spam. So ever since my comments have been no-follow. I am only interested in quality comments per post. If I got as many as Copyblogger, I would turn off comments as well. I encourage small businesses to write articles/blog posts, but they need tons more time if they choose to turn on commenting. None of my clients allow commenting. I’ve noticed that what is hot one year on the web a few years later sometimes becomes a problem. There are no easy paths in life! Thanks for letting us know that you started out with do-follow links and then switched to no-follow. Honestly, off the top of my head, I can think of more bloggers who have made their CommentLuv blogs no-follow than those who have kept it do-follow. Having said that, there is a core group of bloggers (who I’m connected to) that still has do-follow enabled. While I don’t actively seek out do-follow enabled blogs, some of those blogs have such active communities that I find myself commenting there often. I just read the article that you linked to and checked out your example of a client site that doesn’t allow comments (NJPlaygrounds.com). That site is a great example. Thanks for sharing it and (as always) for taking the time to add your insight. Actually, I need to rephrase that – none of the sites *I’ve built* for clients allow commenting. NJPlaygrounds (which the owner built herself) does allow commenting on some posts. She has a great community. And I’ve done work for bloggers who of course allow commenting. But when I’ve built a site from scratch, primarily as a website rather than for a blog, no one says, oh, yeah, I want five billion comments. They all have enough on their plates. Thanks for the clarification Leora. Your clients are lucky to have you working with them to explain how much work there can be if you allow comments. I have built sites where the client has wanted me to leave comments on pages such as their bio or contact form. It’s a personal preference but I tend to just turn comments off on most pages. I spent a little time poking around on NJPlaygounds and I did see one page that had comments on it. I think it was a place where you could add a playground that you liked. I thought that was creative because they were encouraging their visitors to engage with them. That would be good for community building. CommentLuv is a plugin to attract may visitors to a blog which has enabled it. There is a greater possibility that users will come to your blog regularly if you have CommenLuv or it’s premium version. May be it attracts many spammers too but with anti-backlink plugin it is safe from such type of spammers. We can go for CoomentLuv. We can check our broken links daily with checkers. May be it creates some sort of problem but by applying some safety steps we can have a safe blog. I agree with you on the points you make. While CommentLuv attracts more spam, there are steps that we can take to manage it. For me, so far it’s been worth the additional work. Thanks for adding to the conversation both here and on my guest post on Adrienne’s blog. My weekend has been a mix of business and fun. I hope you’re having a great weekend too. Sherryl — I commented on your post on Adrienne Smith’s blog and checked that I wanted to read all comments because it’s such an important topic — sort of sorry I did because I’ve been inundated with comments! It shows how concerned people are about the topic. I took your advice and require 10 approved comments before CommentLuv allows a do-follow link in a comment on my blog. Honestly, when I leave a comment I’m not looking so much for SEO juice with the back link but to introduce a reader to my blog who may not know me. I’ve given up sweating over getting more organic traffic, which, as I’ve written, isn’t nearly important as referral traffic and direct traffic. I think it’s a nice way to say “thank you” to someone who’s left you a comment to give them a link, even if it’s no-follow. I seem to be keeping up with broken links with the broken link checker plugin. I get tons of spam but it’s filtered out so I don’t see it and don’t check it. I used to in fear that a legitimate comment might be flagged as spam but that’s so rare that I don’t take my time going through spam anymore. Every few days a spam comment will slip through but I spam it right away. I hate the thought that I can’t leave a comment on a site that’s unrelated to my niche. But I have become more cautious like you. Sometimes it seems like Google is running our lives. You’re right about being inundated with comments from my post on Adrienne’s blog. Your comment is one of the ones that I’ve had time to reply to. (I owe a lot of people replies to that post.) It’s great that there’s such a lively discussion there. You and I really do think a lot alike when it comes to our blogging strategies. SEO is not a good reason for using CommentLuv. I know you have always held the position that you don’t sweat over getting organic traffic. As I mention in my reply to Igor (that I left earlier today), I do my best to keep SEO in the back of my mind. Even though (as you often mention) organic search usually results in high bounce rates and usually a short time on our blogs, I can’t imagine life without it. If you get enough organic traffic, there are bound to be people who will find you that way and potentially become loyal readers and/or become clients or customers. I know that while some of my clients have found me on social networking sites and others have been referred by each other, there are still quite a few clients who found me through search. As always, thanks so much for sharing your insight with us. I hope to get over to your blog soon. I’ve found you can set CommentLuv to nofollow (they don’t quite call it that) in the free version now too. I’d certainly recommend that in light of recent developments. It might not help their SEO as much but the link is there if a reader finds their comment insightful. Myself I don’t use CommentLuv here because my main site articles are unrelated content. I do use it when it is, sometimes selecting an older post that syncs with the topic more. I also use a link checker plugin that notifies me of bad links, including in comments. I’ve not had any trouble with Google spam action but did recently migrate my site. My old site is set to forward to the new one but I was surprised how much search traffic dropped off. As for Google itself, it’s a moving target with regular policy changes. As I’ve noted here prior, the current action has a lot to do with fighting the consequences of prior approaches they’ve had that came to pollute search results. Rather than fixing AdWords, they’re going after sites. To me, search should be about content. Ranking may be affected by links but they need a better approach. I’d agree how indiscriminate people can be about content – images for example. Or linking to pages where content is embedded rather than to the original content. Sometimes an article about is more useful to link to but I try to include the original as well. As for comments, I know a few sites that have shut them down. Some sites where there is low moderation can develop a community that develops its own agenda that may conflict with the site itself. That can be very difficult to control once its established. In one case, they moved it to a forum then clamped down on rules. In other case, they did that first, then shut the whole thing down. There is that sense of entitlement out there where people feel they can say whatever they want, wherever they want, like its a right or something. Some of the larger sites like YouTube are cracking down slowly on this. I’m still holding out on keeping CommentLuv set to allow do-follow but since I configured it to only kick in after someone has left ten approved comments, it really hasn’t been an issue. Plus, if someone is linking to a site that I will never want to be associated with no mind how many comments they’ve left, I’ll remove the link from the very beginning. As we both know, strategies need to be tweaked as we go forward and I could potentially change my blog to no-follow in the future. I used to use a link checker plugin but I have found that using BrokenCheckLink.com does a much better job for my needs. Besides, I run into enough plugin conflicts that I don’t need to add any more. You have a links page? I work with one client who insists upon having a (very lengthy) blogroll on her site. I have tried to convince her to remove it but I can’t. In addition to the chore of needing to verify that those links aren’t broken and that the domain names aren’t associated with sites that have changed hands (and could potentially be spammy), her site looks cluttered to me. From a design aspect, she’s using the majority of a second sidebar for this. I believe it takes the focus off of her content. Each to their own though. She is convinced that it adds value. Wouldn’t it be great if Google fixed AdWords? I would hate to have to close down comments here. I actually toyed with the idea of opening a forum for members but I like having the community conversing here. Now, I’m glad that I made that decision because spam in forums is a big problem and if it’s not moderated appropriately, innocent bloggers can potentially be penalized for links there. It’s an endless cycle, isn’t it? As always, thanks so much for adding your insight here. Well hello Sherryl, Google’s attitude to my online activities has little interest or influence on my decisions, rather I focus on building the community and connections that interest me and stretch my boundaries. We cannot connect with everyone in a meaningful way so people who come to my site and leave a thoughtful comment will most likely have their thoughts published but unless they are part of my existing community or comment frequently enough to become part of my community its unlikely I will visit their sites. Comment spamming is limited on my sites as comments are only enabled for 2 weeks after the content is published. I do not think that switching entirely the control of our community dialogue over to networking sites is a good idea, rather it should be viewed as a continuation of the dialogue after the comments become closed. I agree with your strategy of building a community. That’s what I try to do too. Even though most organic search traffic results in a high bounce rate, visitors who find us that way have the potential of becoming one of our loyalist readers and biggest advocates. So, I try to make SEO a habit rather than something on my to-do list. I have to say that I’m surprised to hear that you close comments after two weeks. I understand that spam is an issue but I would think you’d be missing out on the opportunity to engage with a lot of visitors (especially busy ones who could potentially contribute to the conversation and share your content). Are you using the premium version of CommentLuv? (I just visited your blog and it looks like you do.) If so, have you tried the Anti Backlinker plugin that’s available in the members area. (The caveat is that you can only install this plugin on sites that have individual licenses. So, those of us who manage sites for clients, can’t install it on their sites unless they own their own license.) If you configure that plugin aggressively (for example not allowing comments from visitors who don’t have Gravatars), you can potentially eliminate all (if not most) comment spam. I never close comments myself. One of the reasons is that I use the Tweet Old Post plugin and I have found that quite a few of my older posts still get comments (especially my how-to articles). Thanks so much for dropping by and taking the time to share your thoughts with us. It’s nice to see you here! I’ve installed Tweet Old Posts but have not gotten it to connect to Twitter yet. I’ve sent them my log and am awaiting feedback. I still get comments on old articles anyway. Depends on the subject but many age well. I just got a notice to upgrade Tweet Old Posts to 5.5. It required reconnecting my Twitter account and reauthorizing it. Also, the minimum interval between tweets had defaulted to 3 hours. I think that’s a bit much. I had it set at 8 hours but when I configured it now, I’m going to try 6 hours and see if that will help any. Is it version 5.5 that you’re trying to connect to your account? Yep – I just updated too. A big update. Had to change several of the default settings. It now connects to my Twitter account fine but the Tweets are not arriving. I also found that when I changed the timing, the next tweet time didn’t change. I set it to use WP shortcodes so the URL uses my domain. They added bit.ly back! I’m happy about that. Good luck getting it to work David. Sheryl, the main reason for closing the comments was to prevent the amount of stupid spam comments I was getting, I have tried before to install the anti-backlinker plugin but could never find the download link in the membership area, I will take another look in a moment. As you point out keeping old posts open is the better idea because some of those old posts maybe, putting modesty aside for a moment quite brilliant and evergreen. What happens to me is that I’ll start getting a handful of comments on an older post and I know it’s because that plugin had RT’d it recently. It’s a great plugin. I’m still using the free version but I’m going to check out the pro version. I spend way too much time dealing with spam comments. I hate the fact that they seem to come from people who are illiterate, ignorant and just plain rude. While I too love CommentLuv, I wonder if it is all worthwhile. I don’t even begin to read a fraction of what I should let alone comment on it. You own your own license of CommentLuv Premium right? Have you tried installing Andy Bailey’s Anti Backlinker Plugin? I was using it for quite a while and I loved it. The only reason that I stopped using it was because of a commenting issue that I couldn’t resolve. Anyways, if you haven’t tried the Anti Backlinker plugin to combat spam, I would give it a shot. It’s available for download in the member area. The one tweak that made the most significant difference on my blog was to configure it to not accept comments from anyone doesn’t have a Gravatar. I know, that’s a bold decision but you’ll be surprised how much spam it eliminates. On not accepting comments without a Gravatar, I’d say it depends on your audience. You serve active bloggers who have usually figured that one out. My audience is all over the map. Many don’t have a Gravatar so I could not use that standard. I struggled with that decision for a long time. Actually, I’ve talked about the importance of setting up a Gravatar and how easy it is to do in quite a few of my posts in the past. It does depend on your audience and also how much time you’re spending on spam. When I mad that decision, I was getting hundreds of spam comments daily and the vast majority did not have Gravatars and were often all originating from the same IP address. I was diligently blocking those addresses but I as getting overwhelmed. I enjoyed your guest post over at Adrienne’s blog – i have no yet gone through all the hundred+ comments there but i wanted to say i appreciated that post. It validates all that i have as understanding about blog commenting in general. I have never been a fan of CommentLuv (free or premium) as the idea of leaving a comment for a backlink and reciprocating comments for the reciprocation itself puts me off – actually, the 5 pros you mention in that blog post are really 5 pros for leaving a comment, not for reciprocating a comment. Diana recently posted..Reading Blogs and Commenting – Should You and How Much? Please don’t ever feel uncomfortable being the first to start the discussion. I really appreciate all of the comments here and it makes me smile when I start seeing them come in. Thanks for letting me know that you enjoyed my post on Adrienne’s blog. That was a post that I had started writing for here and as it grew, I decided to share it with her readers and then link to it. I agree that the 5 pros that I mentioned (in my guest post) apply to commenting in general not necessarily reciprocating comments. As for CommentLuv, I agree with you that using it for backlinks is not a good idea if you’re looking at it from an SEO point of view. (As I mentioned, it can end up hurting you.) To me, the value of CommentLuv is that it can be a very useful tool if you’re interested in building a community. It’s an incentive to loyal readers and it’s a great to discover new content. I often find myself visiting blogs (like Adrienne’s) and doing a day’s worth of commenting simply by clicking on the links left in the comments. For one thing, I trust that the blogger has already vetted the content and I won’t be wasting my time going to spammy sites. It’s a great way to be reminded of blogs that I haven’t been to in a while as well as discovering new ones. Honestly, I don’t use a RSS reader any more and I only subscribe to a handful of blogs. Instead, I rely on CommentLuv links left on blogs that I highly respect (and Triberr . . . I discover new content there as well). Thanks for kicking off the discussion! I hope you’re enjoying your weekend.